Would you like to order a sample calendar? We offer one calendar sample per company, per year. 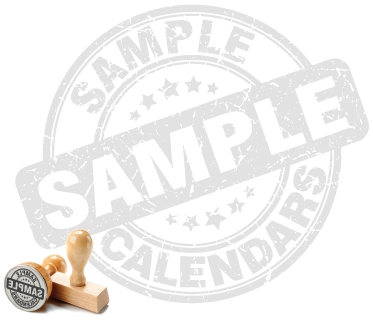 Sample calendars will feature a random promotional imprint and are intended for prepurchase quality inspection and decision-making purposes only. A $10.00 shipping & handling charge will apply. To offset the shipping & handling charge, a discount coupon for $10.00 (single use) will be applied to your total, upon placing a bulk order.